I had a choice, either I could push full-on with the promotion of the barely-if-at-all selling Almost Gone (available from all good online retailers, folks!) or I could leave it to trickle through cyberspace and get on with something else, maybe nothing to do with writing at all. I can’t remember exactly how it started, but for some reason I found myself sitting down at the computer and typing a few words, something to do with leaves swirling around and a red button that must not be pressed at any cost. This, I realised, was basically the premise to the book I had planned to write way before I even thought of the Conorol Trilogy, or even anything to do with writing Young Adult fiction. Basically, it was a blast from the past. Actually, my youngest – now causing mayhem at a university nearbye with various musical instruments – suggested a title, which is still at the top of an empty page in a folder called “Other Writing”. 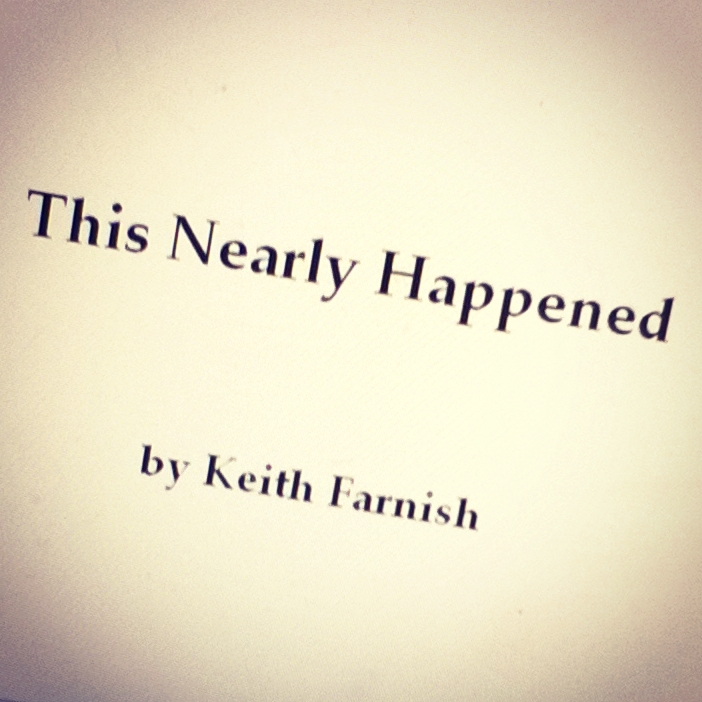 That hasn’t been started, instead something called “This Nearly Happened” has been started. It started at the beginning of last week, and after just 6 days writing it has reached ten thousand words. It’s a lot different to Almost Gone in that it’s clearly aimed at adults, has lots of humour in it and it’s also a techno-thriller, which culturally is a universe away from the world in which the Conorol Trilogy is set. Probably because it’s also a wee bit autobiographical it’s very easy to write and, for some reason, I’m finding comedy very easy to come by. Maybe later it will get darker, we will see. Anyway, that’s where I am for the moment, and when I need a break there’s a huge hedge to cut and plenty of other gardening to be getting on with before the winter starts to set in.